Cooking, cleaning, and looking after children or elderly family members might be assumed as simple duties for some, however domestic workers face many challenges worldwide. According to the International Labour Organization (ILO), domestic workers are an integral part of the global workforce, but they are amidst the most unprotected groups of workers. Low wages, long hours, risk of sexual and mental abuse, restricted freedom of movement and no guaranteed days off are only some of the scenarios domestic workers are faced with. In a 2017 report by The Human Trafficking of Domestic Workers in the United States, co-authored by the Institute for Policy Studies (IPS) and the National Domestic Workers Alliance (NDWA), it was revealed that 85 per cent of domestic workers and trafficking survivors report having pay withheld or being paid well below minimum wage. As well, 81 percent reported abusive living conditions, and 74 per cent reported having experienced emotional or verbal abuse by their employer. The ILO states that of the 67 million domestic workers worldwide, 18 million are women. On International Women's Day this year, many women went to the streets of Latin American cities such as Rio de Janeiro, Buenos Aires and Lima, Peru, as a sign of protest. In Lima, they stopped all work-related activities for one hour in order to give visibility to women's contributions to society, including domestic tasks. 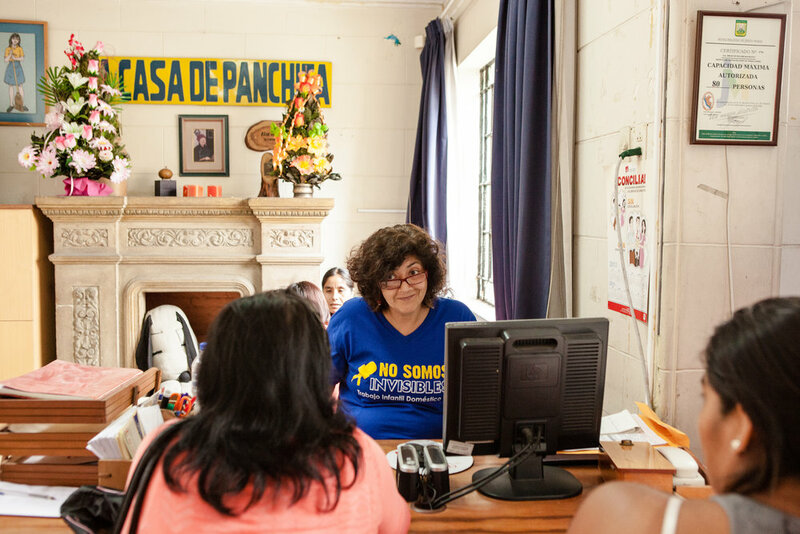 Located in Lima, Peru's capital city, La Casa de Panchita is an institution that works to provide decent and better conditions to domestic workers. The organization is run by an agency that works to search and hire domestic employees, whom part of their income will go towards continuous training and education for other skills-based labour. 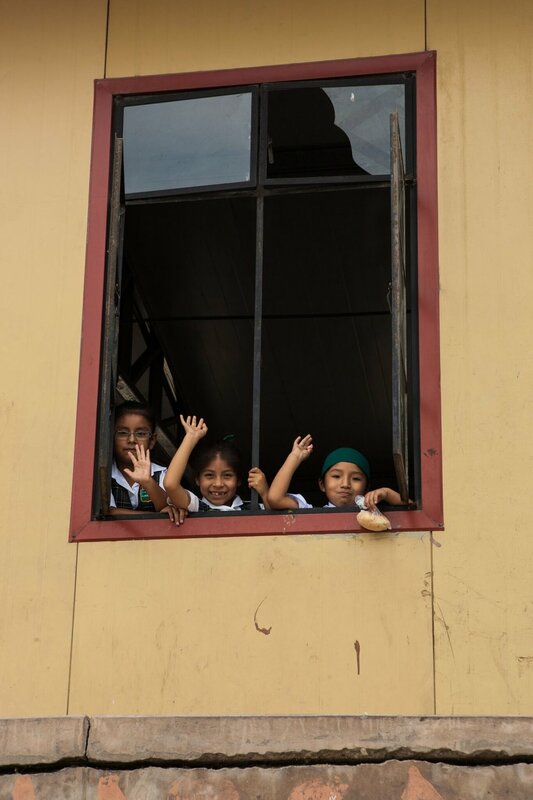 La Casa de Panchita promotes women and children empowerment, with a large focus on human rights. Their training encourages mothers and young girls to go to school and to find work where they are respected and protected. 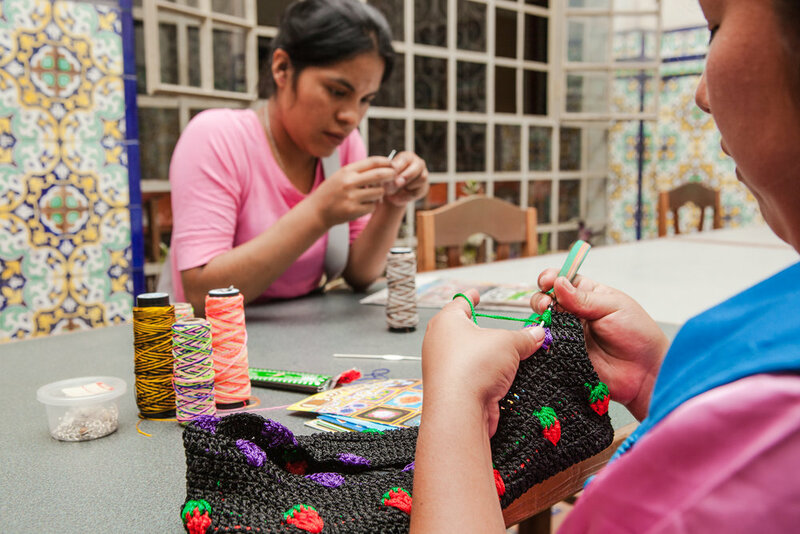 All of the training is provided by Asociación Grupo de Trabajo Redes, an association with more than 27 years of experience in promoting the rights of domestic workers. The organization also promotes prevention of domestic child labor, and protection against abuse and exploitation. 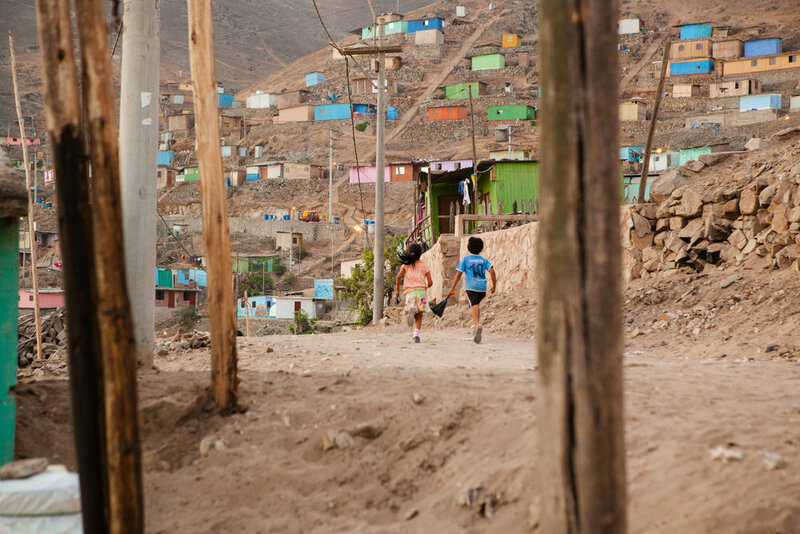 In 2015, photographers Jessie Chaney and Connie Tsang went to Peru to capture the work of La Casa Panchita and their partners. “Play is critical: the goal of Casa de Panchita is to take steps to provide every child a strong foundation for their future, to eradicate child labour, and to grant them the freedom to enjoy their youth,” Tsang said. "The power of images will generate a river of awareness, a reminder that education for kids and teens comes first, and that a woman’s voice is influential when heard", added Chaney. To know more about La Casa de Panchita click here.